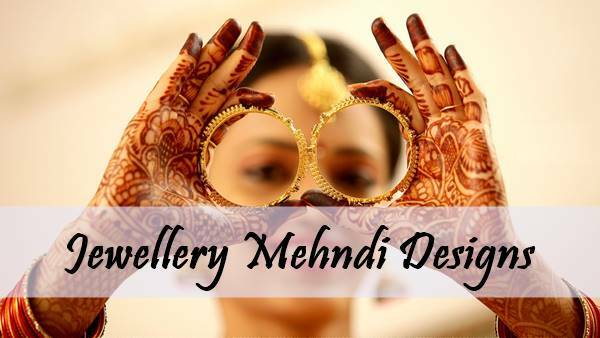 Are you looking for Jewellery Mehndi designs? 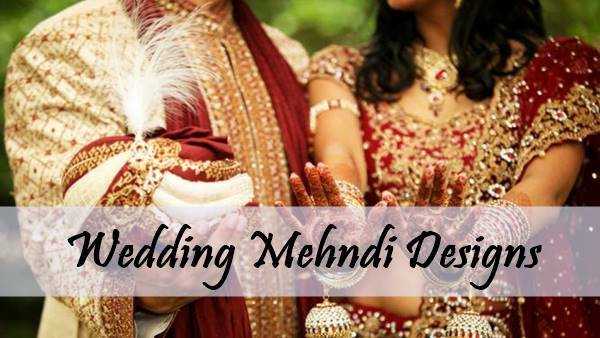 Here you will find out beautiful Jewellery Mehndi design for both front and backhand. 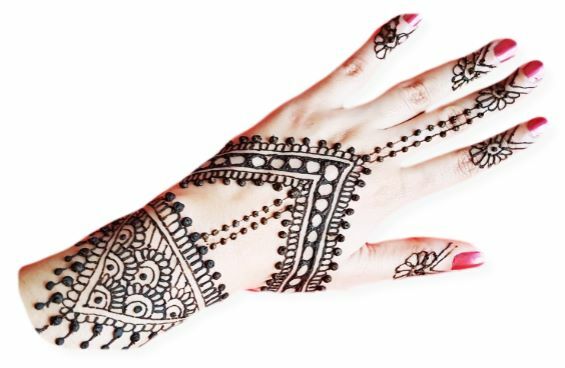 Let's start scrolling down to see jewellery henna from across the world. In this design, the flowers are tied with a bead necklace. A beautiful ring on the middle finger gives an extra touch to the flower mehndi. When this design is washed, it will look like that design on the hand mountain is tied with the Gold chain. 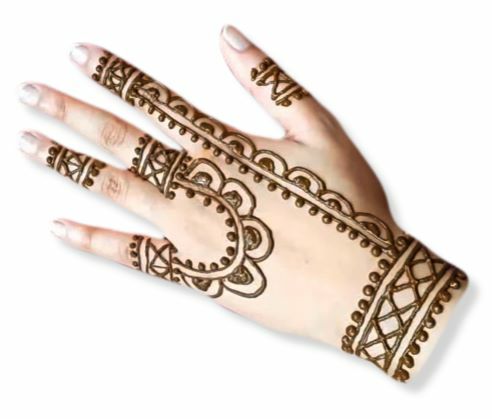 This pattern belongs to Arabic Mehndi designs. 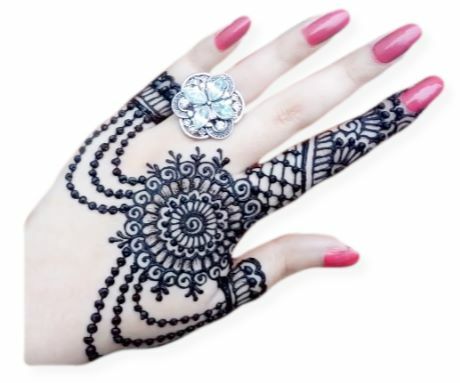 This is a simple jewellery henna design contain a bangle on the wrist and mehndi rings on the fingers in the alternate pattern. 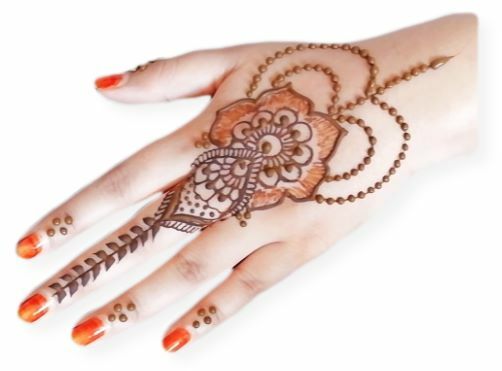 If you are looking for more simple mehndi designs then try here. 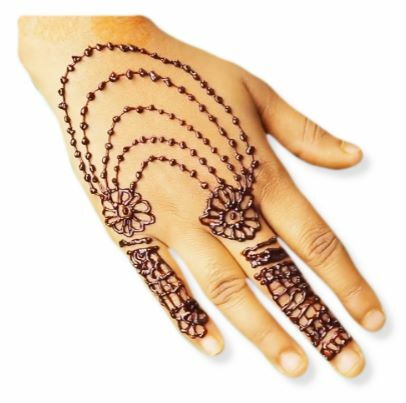 A lot of people like bracelet Mehndi and this one is the beautiful design of hand chain bracelet mehndi. It contains a very unique pattern on the fingers. 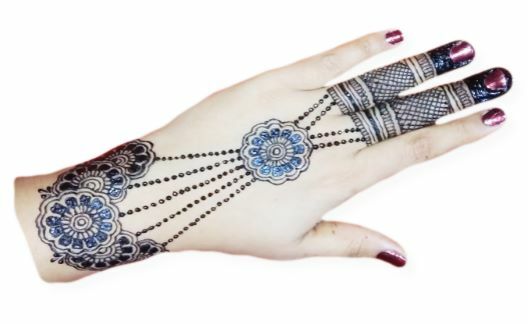 This design is also from bracelet henna. The only difference is that it is a flower jewellery design. In this design, a big flower is tied to the garlands. Indian traditional jewellery is liked by the across the world and this design is inspired by the Indian Jewellery. 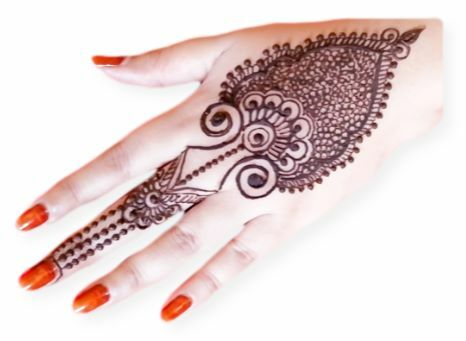 We also have more Indian Mehndi designs. 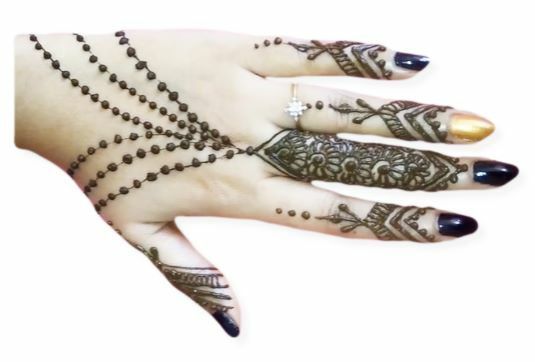 If you are looking for jewellery henna design for bridal, then you will surely like it. You can see this design has a very attractive bracelet on the wrist. Everything is special on the occasion of the festivals. So, we have brought mehndi according to the festival as well. This is a special Eid Jewellery Henna. 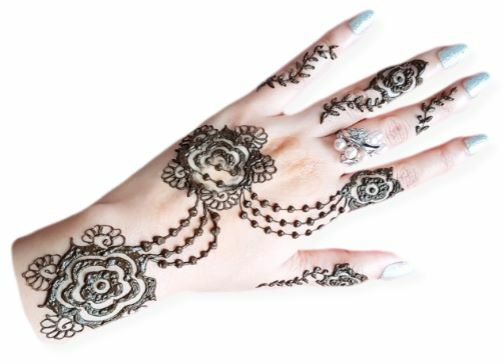 It is Arabic henna design and you can see it contains a flower in the middle of hand that tied with the mehndi ribbon pattern. You can try it if you like it. Floral Jewellery is very much needed during weddings. And this design is inspired by the floral Jewellery in which the combination of flowers and jewellery is designed. 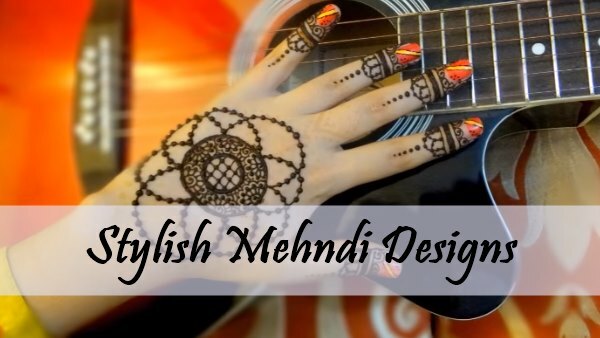 Kheelji mehndi design is more popular in the area of Gulf. 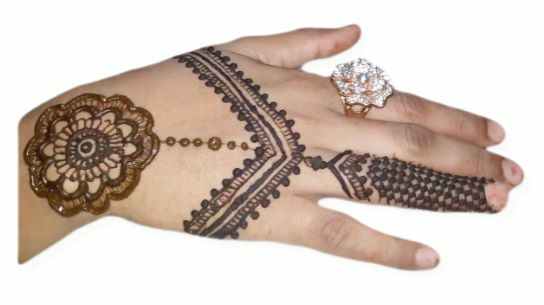 So we call it as Gulf Jewellery henna design. It is a simple, unique and attractive design. 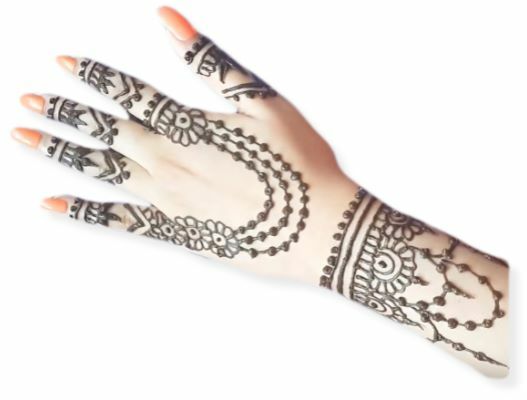 It is again a Gulf-style henna but different from the previous one. It contains a flower hanged with a grid of beautiful chains. It is jewellery design which contains an empty heart on the thumb side. It looks like a gold ornament which is stapled with the chains. If you only want Heart Mehndi designs then try here. 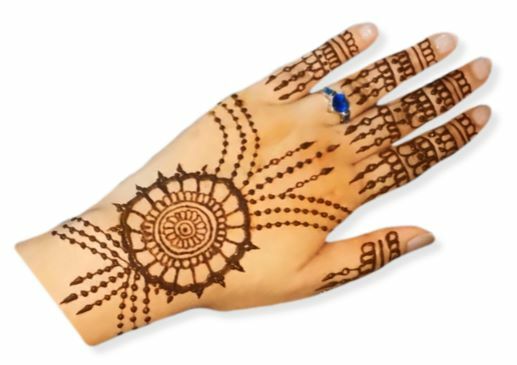 It is a bangle mehndi design that is drawn on the wrist. This design is popular in South Asia (India, Pakistan, Bangladesh etc.). 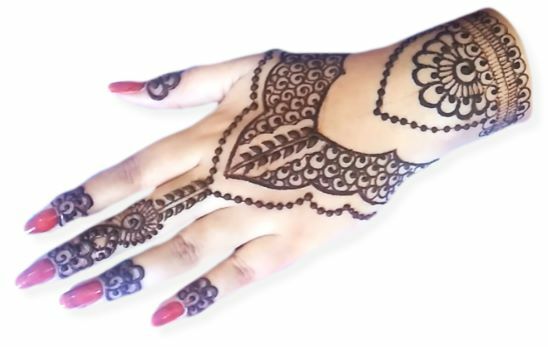 If you don't like previous henna designs and looking for easy designs than you should go with this design. Also, go with more easy mehndi designs. 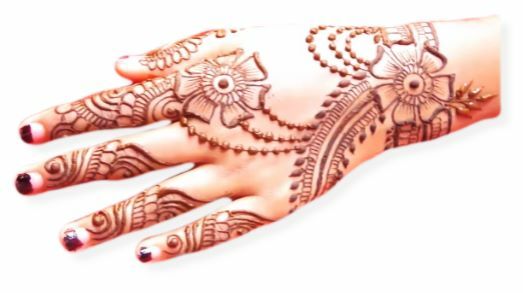 This is a beautiful design of weddings mehndi and I think it will surely gather the attention of many people. You can try it with any kind of wedding dress. 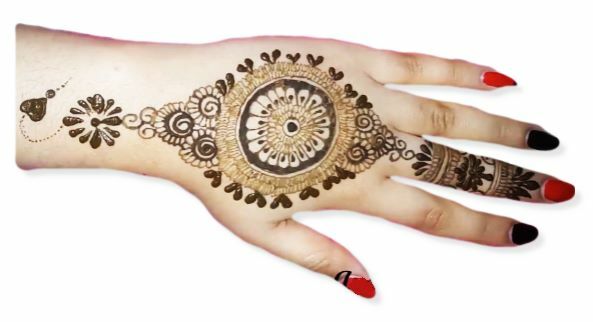 You can try more special mehndi designs for wedding. 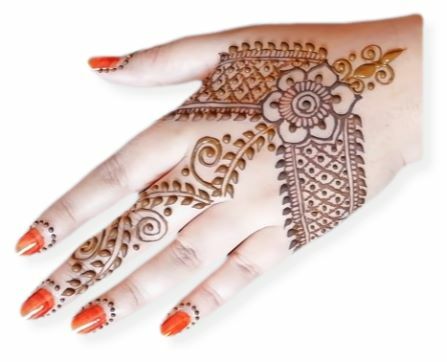 This is popular mehndi pattern and prefered by all people. 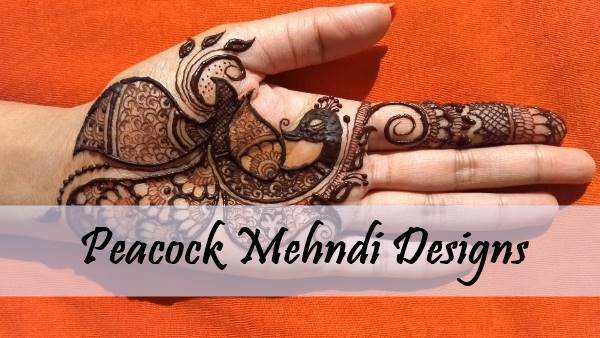 The reason is that it looks simple, easy and gives a natural touch of mehndi. Mandala is popular mehndi of the ancient time and practised across the middle east, Africa, India and Pakistan. Go with more Mandala Mehndi designs if you want more like that. 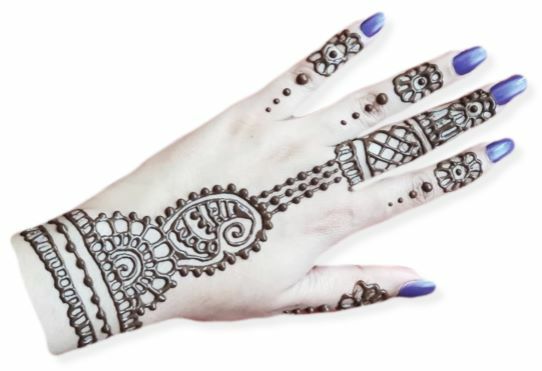 This is a nice design of hand ornaments and it contains a unique pattern on the two fingers. 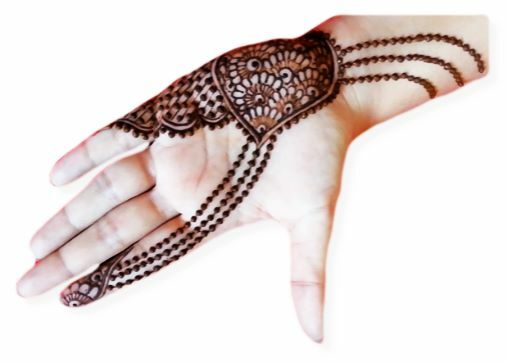 It is a v-shaped jewellery henna design and covers full backhand up to the wrist. The beautiful bracelet on the wrist surely forces you to choose this design. 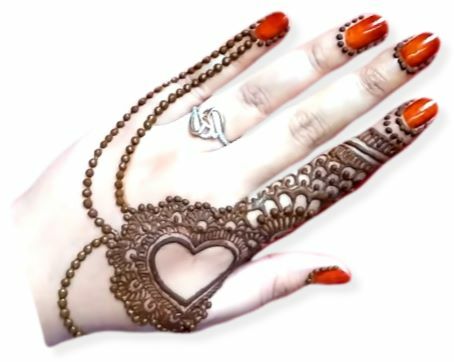 I'm feeling your scrolling with jewellery mehndi design was very interesting. Keep your hands mehndi-full and shine every day likes a star.